Mosul, Berlin Wall all over again? The race to regain Mosul has begun. But who is to claim this price? Initially Iraq has formed a coalition with local militia, mostly Shia Arabs, Christian fighters and Kurdish fighters and set out to start retaking Mosul from ISIS. This coalition represents an opportunity to work together towards a suposedly mutual goal. The offensive started on Monday 17th of October and some village arround Mosul were liberated in the days after. As Iraqi forces moved in from the south many reports came in stating most ISIS leaders already fled the scene. According to experts the Iraqi doesn’t have the numbers to launch a full scale attack on Mosul and the alliance is fragile as all partners in the fight keep carrying their own flags. The city of Mosul consists of a variety of ethnical and religous groups. Mainly Arabs with in addition smaller echnic minorities amongst which the Turkmens. An Iraqi-Turks minority with whom supposedly Turkey have revived old Ottoman-era connections. Messaging between Ankara and Bagdad over Mosul has been going on for a while and it is obvious that political relations between the two countries are at all time low. Iraqi governement has repeatedly called on Ankara to withdraw their troops stationed in the Bashiqa camp near Mosul and Turkey, who feels deeply about Mosul as it was once one of the key cities in the Ottoman Empire, refused. The city of Mosul has been under Ottoman rule from earlie 1500’s to first world war, where after it became part of Iraq. It will not surprise anyone now, given the circumstances, Turkey reclaims what they have been lost and disputed ever since WW1. Turkey joins the fight for Mosul on the 23rd of October shelling positions of ISIS with tanks and artillery and fight together with the Kurds, approaching the city from the North. Now the Turks are entering the battle, backed-up by the US led coalition it is clear Mosul is definitely caught up between the two armies. The question now is what will happen next. Iraqi army is not strong enough to support a fast advance and lacks of proper air support where the Turkish army has what it takes to assault the city faster then Iraq whishes for. Will they meet up in the middle creating a middle-east Berlin? Will Iraq stand down if the Turks win the Battle for Mosul? 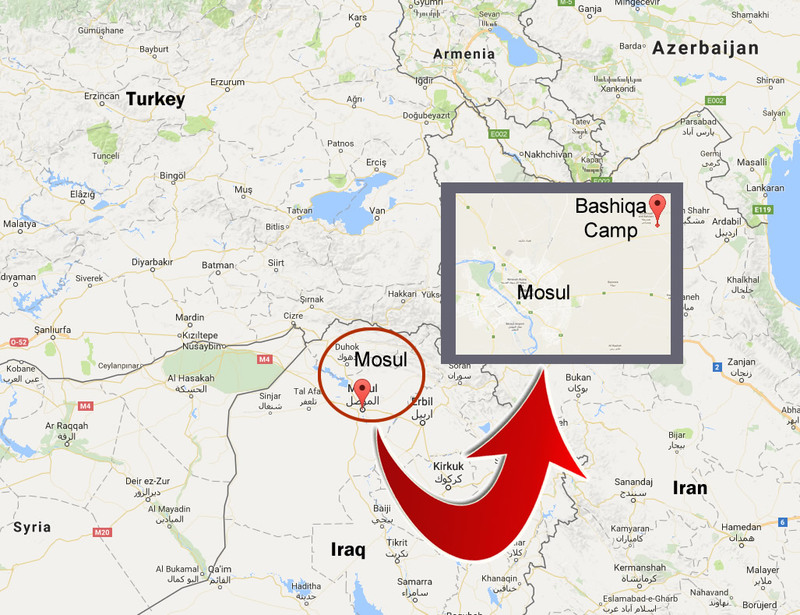 It is unlikely that Iraq will gain control in this battle over Turkey and Mosul will most likely become a new point of tension in the Middle East near the Borders with Syria. By the Editor In Chief for World News Tomorrow. 5 Luxury must haves for 2017.